All events for Saturday Storytime! Join Miss Loraine every Saturday for an all-ages story time. Discover the magic of read-alouds and enjoy a related craft or activity. 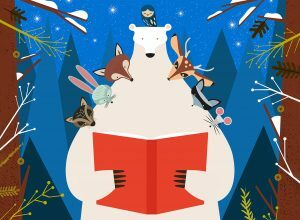 February 2nd - No Regular Storytime due to Winterfest. Please join us at noon for some fun crafts and face painting! February 9th - Valentines! February 16th - Yeti Madness! February 23rd - Year of the Pig!